Here’s another great take on the sketch we have for this month. Do you notice how DT member Monique just turned the design horizontally? We’d love to see what you do with this sketch too! Hello Imaginisce fans! Today I want to share yet another layout I created using the March sketch. 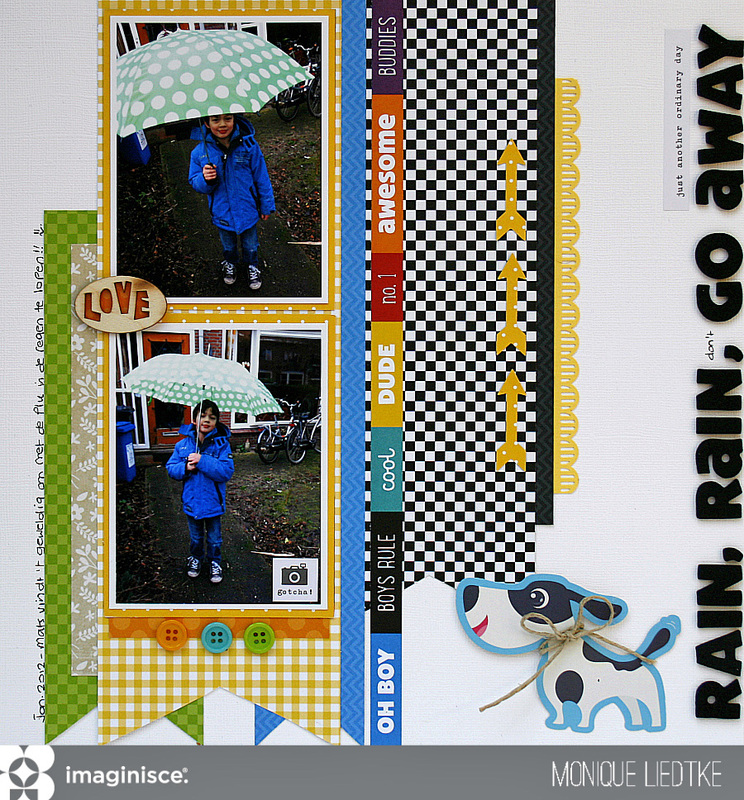 I used the Family Fun collection to make this page about my son, who loves to walk in the rain with my umbrella. The green color of the umbrella and the blue color of my son’s jacket were a perfect match for the colors of the Family Fun collection! Although the majority of the products I used here are from the Family Fun collection, I also used a strip of paper from the Welcome Spring collection (brown with flowers) and the dog die-cut from the Good Dog collection. I adhered the dog to my background cardstock using the cute pink Imaginisce Pogo Adhesive Dispenser. It needed quite a few dots because of the size of the die-cut, but it adhered nicely. 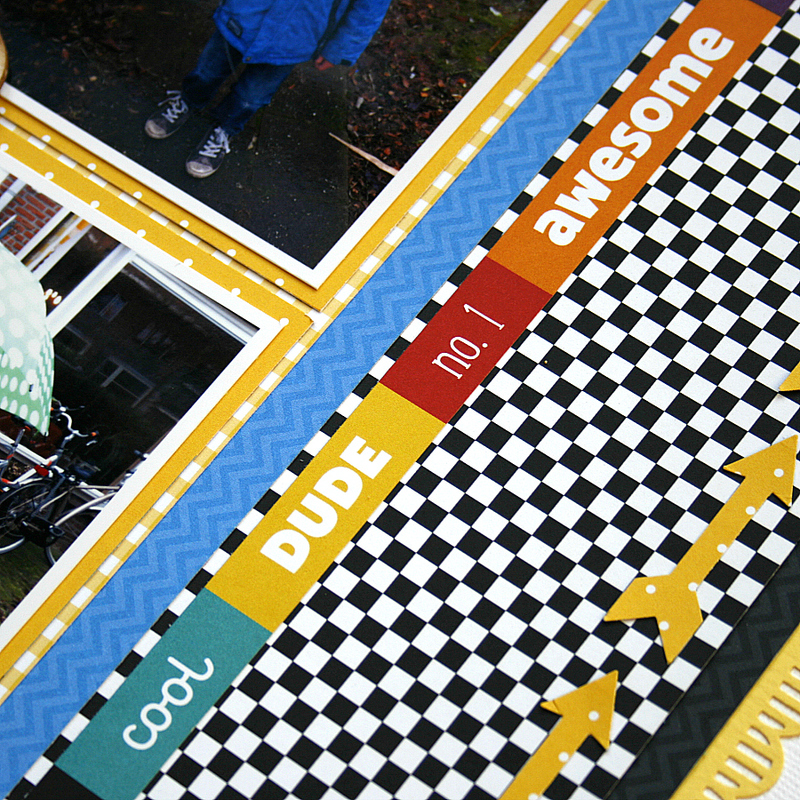 I’m a huge button and flair fan and use either one of them on almost every page I create. I really love the size of these little buttons. This collection also comes with larger buttons, but I really loved these. And here’s once again the sketch Suzanna designed for us. I soooo hope you’ll get a chance to try it out too! 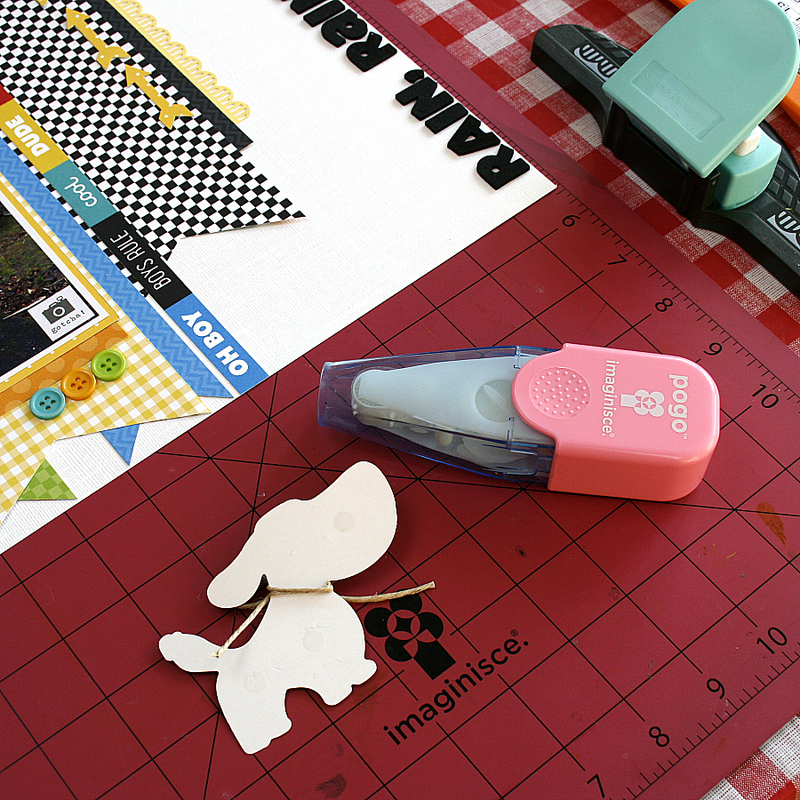 Imaginisce – Family Fun (patterned paper, buttons), Welcome Spring (patterned paper), Good Dog (cardstock die-cut), Pogo Adhesive Dispenser. 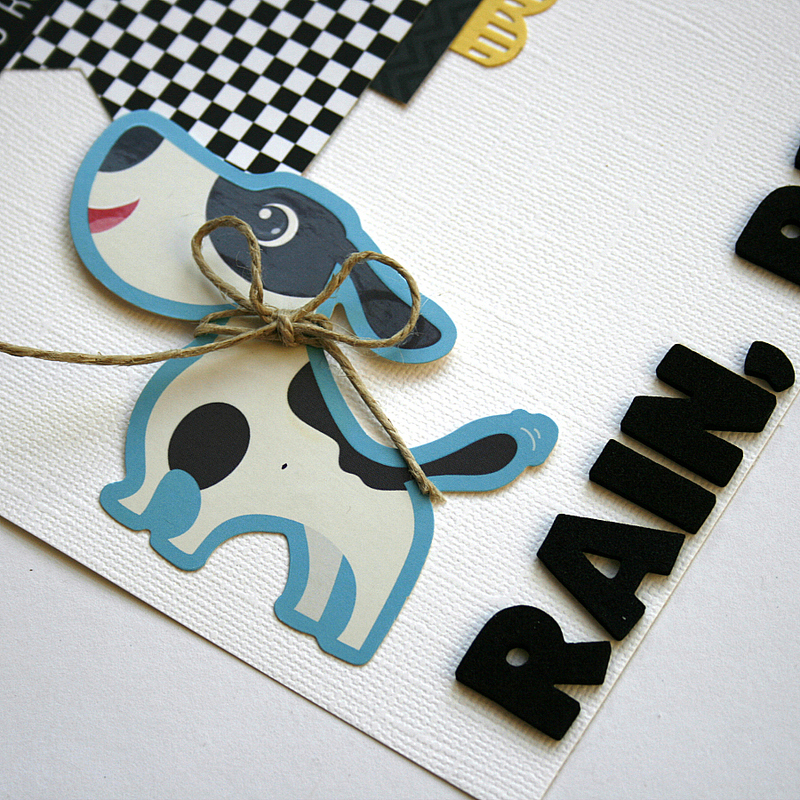 Bazzill Basics – Cardstock, American Crafts – Thickers, Knock Outs Border Punch, Studio Calico – wood veneer. 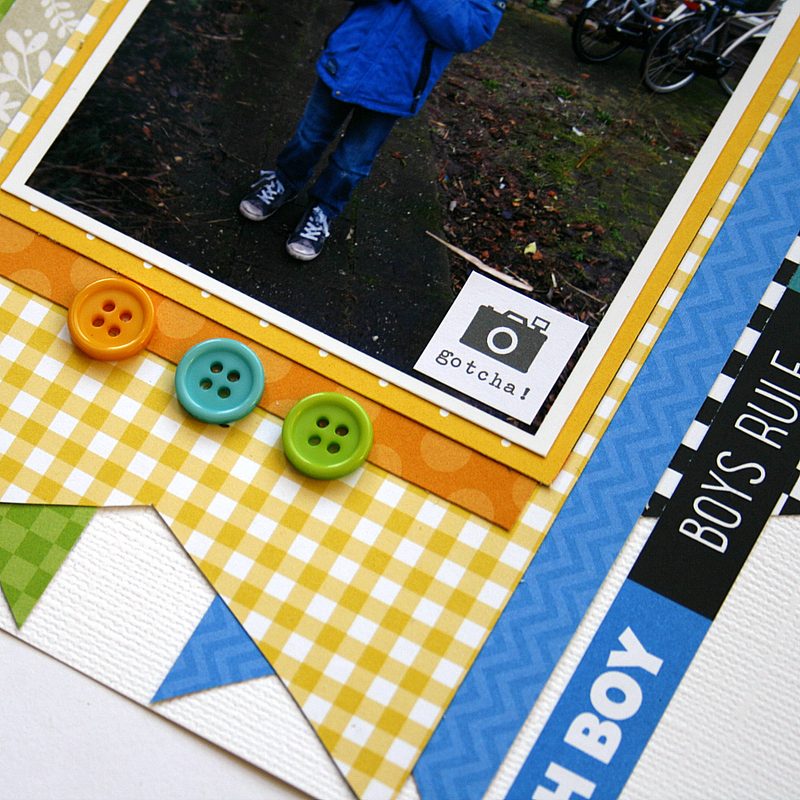 Thank you so much for stopping by to have a look at my project! Happy crafting!